Hilarious, catchy, incisive, and exhausting, Pubic Intellectual captures Momus in all of his forms, from lo-fi pop craftsman to boundary-pushing satirist. When Michael Bracewell wrote his first book about music, England Is Mine, he grouped me with Green Gartside and Paddy McAloon. We were "clever pop", but the label, coming from an English person, is already a reproach. Don't you know what happens to clever people? They fail commercially, and they're ignored critically because – especially in Britain, and especially in pop – the critically-acclaimed doesn't diverge long from what's commercial. Momus is not typically thought of as a pop singer. Elements of pop music can always be found in his wide-ranging discography, but critics are quickest to jump on Momus' eccentricities rather than his chops as a songwriter. There's the matter of the name Momus itself; of all the possible nom de plumes Scottish author and musician Nick Currie could have chosen for himself, he picked the name borne by the Greek god of satire, not a figure at the top of the roster in the schoolbook rendition of the Greek gods. The music Currie makes under the Momus name is invariably, almost comically lo-fi. His career has come a long way since its mid-'80s beginnings, but aesthetically it still smacks of cheap Casio keyboards and cloying pad synths. The opening drum beat on "Tinnitus" sounds like the startup music for an early '90s gaming console. In a Pitchfork review of the 1999 album Stars Forever, comprised of "song portraits" of random people and organizations that paid Momus a handsome $1,000 USD to write a song about them, Brent DiCrescenzo argues, "Momus's greatest flaw… will continue to be his disrespect for pop music." Momus' lyrics are also perceived as decidedly non-pop. With taboo subject matter (see the necrophilia-centric "The Cabriolet" from 1989's Don't Stop the Night) and Foucauldian song titles ("The History of Sexual Jealousy Parts 17-24"), Momus looks a lot more like the product of a Continental philosophy collective than a pop scene. To use his own words, Momus is more clever than catchy. Yet if there's one effective case that Pubic Intellectual: An Anthology, 1986-2016 makes, it's that Momus is a better pop songwriter than most are willing to give him credit for. A three-disc, three and a half-hour collection drawing from every corner of the Momus discography, Pubic Intellectual is an exhausting thing to get through. Momus' humor and pop bonafides are enough to hold interest for quite awhile, but even the ardent fan might have to press pause on occasion. Apropos of his Greek forebear, Momus pokes and challenges his audience, luring them in with a catchy pop hook and then interrogating their assumptions about identity, sexuality, and a myriad of other topics. This philosophical rigor, combined with an unrelentingly drab production aesthetic, makes Pubic Intellectual an album best taken in pieces. As conceived by Momus and his long-time label Cherry Red, however, this is not a bad thing. Pubic Intellectual's packaging is unfussy and to the point; rather than give in to the excesses of lavish career retrospective box sets, Cherry Red makes the music the selling point of the record. All three CDs are housed in a small paper box set -- each with its own sleeve -- and are accompanied by a booklet containing thoughtful and witty liner notes by Momus himself. The lack of bells and whistles in this affordably priced anthology (£12.99 GBP, or about $17 USD) lets the music shine above all else, and there's plenty here that shines. Like Momus' career as a whole, there are small stretches of Pubic Intellectual that drag on; "Rhetoric" typifies the weakest of Momus' material, all mumbles and airless synths. Yet for every "Rhetoric", there's a bout of brilliant pop, like the jaunty "Stefano Zarelli" and what Currie identifies as the most well known Momus tune, "I Want You, But I Don't Need You". Because the rambling verses take up the bulk of the song, one could classify "Closer to You" as a spoken word piece broken up by a pop hook. But Momus' fragile earnestness in the chorus is what keeps the track tethered to the realm of pop. At the end of every stanza of his clumsy musings, he always comes back to the hook. Far from being disrespectful of pop music, as DiCrescenzo alleges, Momus likes to tinker with it, challenge it both at a compositional and lyrical level. On "The Homosexual", one of his best numbers, Momus indulges in an '80s pop aesthetic while taking square aim at societal expectations of sexuality. (The song also includes the immortal line: "Hell hath no fury like an insecure Englishman.") One can only view Momus as a hater of pop if he believes that there is a set pop orthodoxy that must be respected, a premise that Momus roundly rejects. Momus can have his avant-garde intellectualism and be catchy too. As Jason MacNeil understates in his PopMatters review of the 2009 Joemus, "Momus has always done his own thing." Undoubtedly, Momus is an archetypal case of an "acquired taste". Even at his most accessible, his muted vocals and seemingly no-budget production quality do upset what most people think of when they think of pop. But in that lo-fi production there is one compelling aspect about Momus, in that he lends himself to cover versions. The forlorn lyrics and minor-key melancholy of "Bibliotek" are compelling even in Momus' low-key style, but they're even better suited to a fully fleshed arrangement with acoustic instruments. 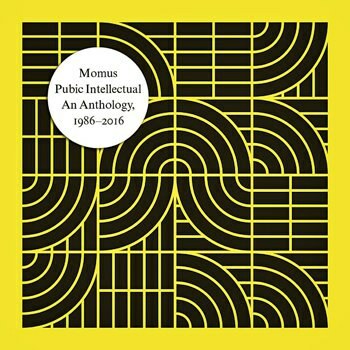 Pubic Intellectual is an ideal introduction to Momus both for the first-time listener and for the musician interested in creating unique interpretations of this oft-overlooked songwriter. Momus' catalogue is rife with tracks that, in a stranger world than this one, would be top ten hits. In closing this review, I have a confession to make. I spent two thirds of my listening experience with this anthology believing it to be titled Public Intellectual, thinking it a cheeky reference to Momus' lack of popularity. Upon preparing to write this review I saw on the spine of the CD that it is actually called Pubic Intellectual, which is equally apropos, referencing Momus' penchant for crass humor and his intellectual proclivities. ("As a Calvinist, I'm an inherently guilty animal," Momus confesses in the liner notes.) In that bit of mis-seeing, I experienced what I so often experience with Momus' music: taking his songs to mean one thing when there is more happening than the ear (and, in this case, the eye) lets on. Due to the quirks that make Momus who he is -- quirks that he shows no interest in abandoning -- he will likely become a curio in the annals of pop history, a "clever" songwriter juxtaposed against the popular ones. But Pubic Intellectual succeeds as a compendium of oddball pop and a testament to Momus' ingenuity as a thinker and, yes, a pop songwriter. Above all else, the anthology embraces Momus' multifariousness, clinging to rather than running away from the numerous ways he presents himself. As he sings in "Stefano Zarelli": "Everyone's just a mess of contradictions/ And we all write fictions each day… / Why not learn to love your contradictions? / Why not live life to the full?" Pubic Intellectual is a document of a life lived to the fullest.